Finding a reliable outdoor and perimeter pest control service in the Belvidere, Cherry Valley, Dekalb, Genoa, Loves Park, Machesney Park, Marengo, Poplar Grove, Rockford, Rockton, Roscoe, and the Sycamore Illinois area isn't difficult when you call Green Acres Lawn Care & Landscaping Group at 815-703-0873. Green Acres Lawn Care & Landscaping Group has been providing quality and affordable outdoor pest control services since 2005. 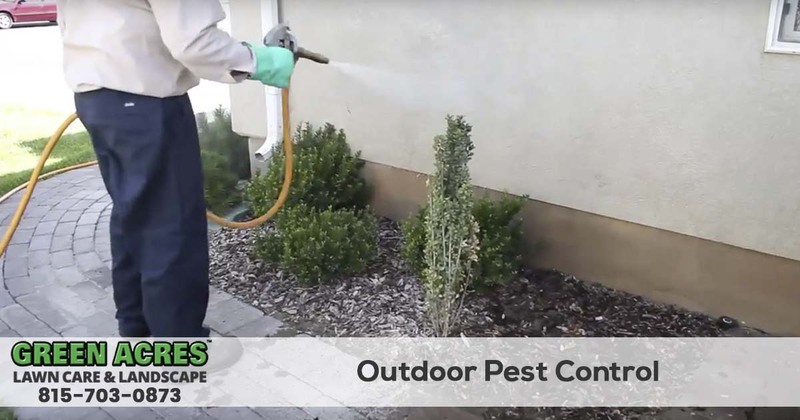 Our outdoor pest control services are the answer to a pest-free outdoor living space and yard, making your outdoor areas more comfortable for you and your pets. 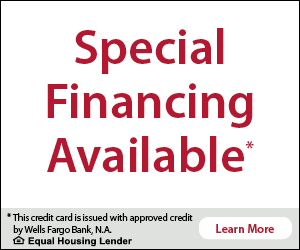 Nobody wants to have fleas all over their yard, but unfortunately, they are a common problem for many homeowners in Illinois especially those with pets. In order to get control over flea infestations in your yard, home and on your pet, is to start with controlling the fleas outside of your home. Our flea control treatments will help you fight back against fleas so you and your pets can be more comfortable. In order to control fleas outside of your home you will need a comprehensive flea control strategy based on the extent of the infestation. When we spray for fleas we use a process that is designed to not only kill the adult fleas but also targets flea eggs and flea larvae with an insect growth regulator which prevents the maturity of a flea, the IGR keeps the flea from developing into the adult jumping, biting, and most importantly reproducing flea. Although we use a comprehensive approach to flea control outdoors , recurring services are required during the flea season here in Illinois because new fleas are constantly being introduced to your outdoor space from a variety of wildlife including squirrels. One of the biggest misconceptions of effective flea control is that by treating your animal that will solve the flea infestation problem. Pill or Oil Based flea control medicine for pets is primarily designed to kill an adult biting flea after it bites your pet. So without other flea control your pet would have to be bit by all the fleas in order to kill them all but one of the problems with that is those adult fleas have already laid eggs and the cycle will continue without an effective flea control service. Effective tick control starts with a comprehensive evaluation of your property and identify the areas where ticks are likely to inhabit. Then we apply tick control treatments to your lawn and landscape and any other area ticks would love to call home. We then move to to tick prevention services by applying a barrier treatment around the edge of your property to stop migrating ticks. We then provide ongoing tick maintenance monthly. Our customers consistently enjoy a virtually tick free outdoor space all season long. Ticks are small eight-legged parasites that prey on almost any living person, pet, or animal found in your yard. You don't want them to make your home their home because they are know to carry serious and sometimes deadly diseases. Effective tick treatment for your yard is essential to protecting you and your pets. Although ticks are known for carrying many diseases like Rocky Mountain Spotted Fever, Borrelia Mayonii and many others the most popular and most common is Lyme Disease. WIth Lyme Disease cases increasing across the country it is more important than ever to properly and effectively treat your yard and other outdoor spaces for ticks this season to protect your family and pets. You can learn more about some of the symptoms of tickborne illness here. All Green Acres Lawn Care & Landscaping Group technicians are tick control specialist with the experience and knowledge to properly treat your property for fleas, ticks, mosquitos and other outdoor pests. 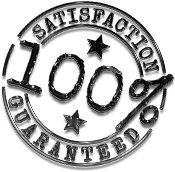 Our technicians are trained to safely apply treatments in accordance with Illinois State laws. We understand how ticks behave, where they live, and how they survive so we can more effectively treat your property for ticks. When you discover an outdoor pest problem at your home, the last thing you want to do is wait days or weeks for help from the professionals. Green Acres Lawn Care & Landscaping offers fast and reliable pest control services when you need them most, so the outside of your home becomes pest free as soon as possible! Finding a pest control company that can effectively exterminate pests outside your home is easy when you call Green Acres Lawn Care & Landscaping. Our technicians are experts in outdoor pest control and are specifically trained on the pests common in this part of Illinois. We are equipped with the latest technology and information concerning outdoor pest control, so we can solve all of your outdoor pest control issues quickly and effectively. Although our initial service is designed to quickly eliminate your outdoor pest problem, our scheduled recurring services are designed to prevent future infestations and keeps pests from returning to your outdoor space long term. After all, who wants the bugs to just come back? Our outdoor treatment plans provide you with outdoor pest protection that lasts, so you can enjoy your bug free yard all season long. We offer flea, tick, and mosquito, ants, spiders, chiggers, crickets, flies, wasps, and other outdoor pests that are common in Illinois. Call 815-703-0873 now to get fast professional outdoor pest control services with reliable results from Green Acres Lawn Care & Landscaping Group.